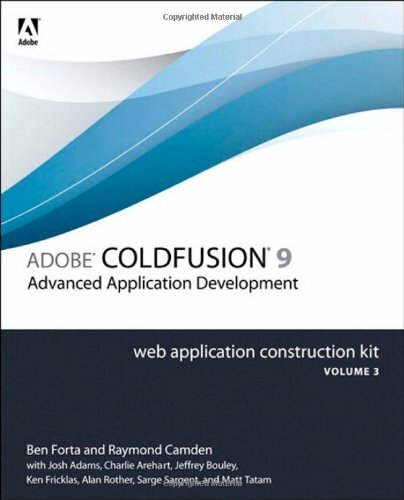 Written by the best known and most trusted name in the ColdFusion community, Ben Forta, The ColdFusion Web Application Construction Kit is the best-selling ColdFusion series of all time. Volume 3: Advanced Application Development, focuses on application security, scalability and high-availability, and integration with other systems and technologies. The book starts with two sections dedicated specifically to scalability and security, and then focused on extending ColdFusion applications using web technologies, other languages and platforms, and sophisticated integration techniques. Complete coverage of ColdFusion 9 is included in "Volume 1, Getting Started" (0-321-66034-X) and "Volume 2, Application Development" (0-321-67919-9).